That Liverpool have had such a strong second half of the season in the wake of Philippe Coutinho’s departure to Barcelona is a remarkable thing considering how important the Brazilian playmaker was to the way the Reds emerged as a lethal attacking force under Jurgen Klopp. The season started with serious worries that they may even crumble should he move away from Merseyside, worries that have obviously been obliterated by the incredible season Mohamed Salah ended up having. Still though, the goal in this summer’s transfer window must be to support Salah rather than rely on him in the way they did on Coutinho. If the Anfield side are ever going to compete seriously for the English Premier League title they need an array of superstars in support of the Egyptian sensation. Coutinho was destined to never have the opportunity to play for too long with Salah and as such there are still puzzles left to be solved by Klopp, his coaching staff and those tasked with completing transfers. 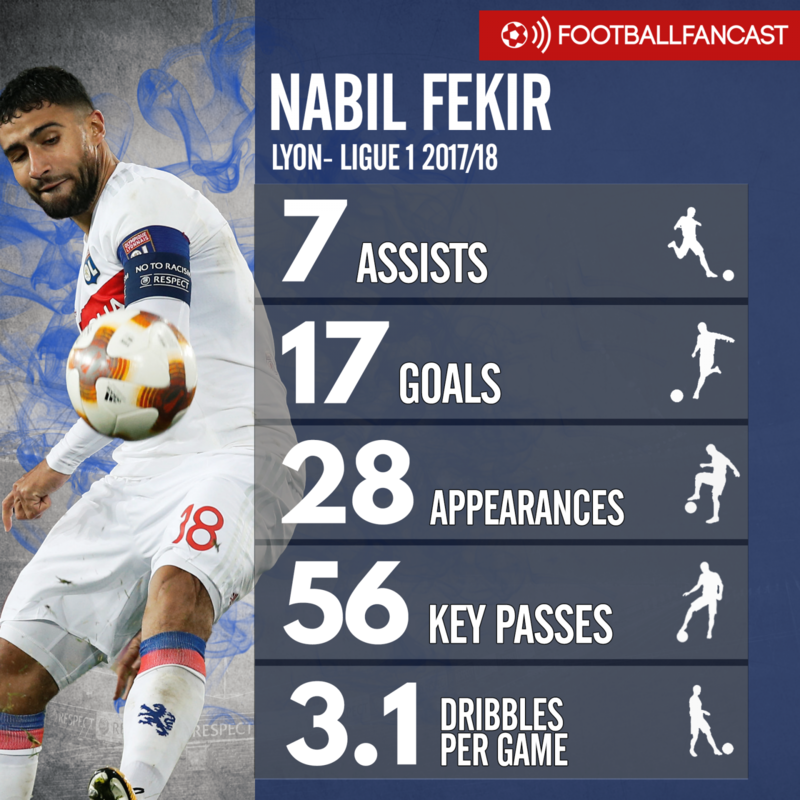 One player that has been linked with the Reds this week is Lyon’s 24-year-old star attacking midfielder Nabil Fekir, a French international who is making quite a name for himself in Ligue 1. He’s been instrumental in his side’s bid to qualify for the UEFA Champions League again, making them the best attacking outfit in the league outside of the untouchable Paris Saint-Germain. From Liverpool’s perspective, his form has also been a demonstration that he can replace what Coutinho left when he moved to La Liga. The player’s stats on WhoScored.com are evidence he can be a big hit at Anfield and offer Liverpool a level of excellence and style of play in midfield that they currently lack. Even at an initial glance the signs are good considering nobody in the Liverpool squad has scored more than his 17 goals in league action. On the creative side, only Salah has more assists than the Frenchman, with Fekir’s key passes also higher on average than everyone at the Reds this term apart from the departed Coutinho. His average of 3.1 dribbles per game bests the entire Liverpool squad this season, including the Brazilian, who certainly wasn’t shy in taking the opposition on with the ball at his feet. That his numbers sit in the same conversation as both Salah and Coutinho is a testament to his ability, which is still improving all the time at 24 years of age. Surrounded by better players Liverpool he can potentially flourish into a devastating weapon for Jurgen Klopp and help them reach their Premier League potential next season.